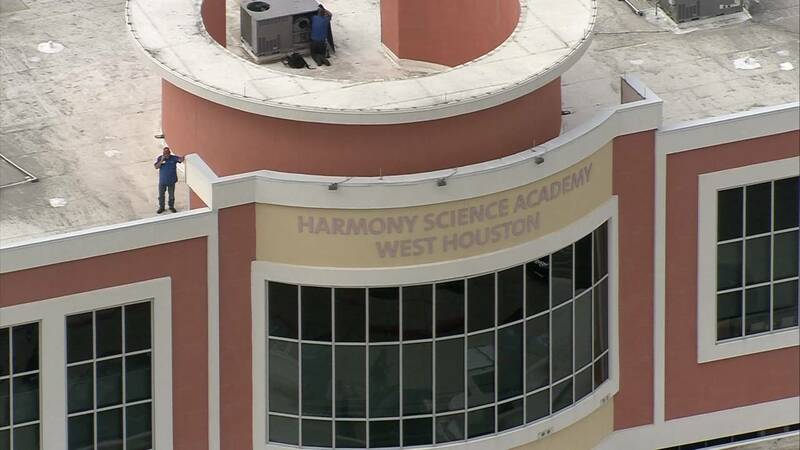 KATY, Texas - A second student was arrested Monday after he made a threat to the Harmony Public School campus in Katy via social media, according to authorities. Fort Bend County deputies said the 15-year-old was mad about his friend being arrested in connection with a threat that was leveled against the same school last week and posted a message on Snapchat that read, “You think you’ve seen a threat? I’ll show you a threat.” That message was followed by a video of the teen shooting an AR-15 and 2 pistols at a gun range, deputies said. Friends of the teen alerted the administration at the school, and the teen was arrested on campus, deputies said. He was charged with making a terroristic threat. The student is being held at the county’s juvenile detention facility, deputies said. Investigators said last week’s threat included images of the Parkland, Florida, school shooting scene and a message that indicated the same would happen to seventh-graders at the school. That image was followed by a link to a website that provided instructions on how to sneak guns into schools, investigators said. This incident is the latest in a rash of at least a dozen threats made against Houston-area schools since the Valentine’s Day shooting that killed 17 people at a Parkland, Florida, high school.